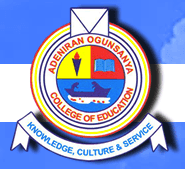 AOCOED Post-UTME screening form (2nd Batch NCE) is now available. Also, thee AOCOED Cut-off mark for the 2017/2018 admission exercise and details of how to register for the Post-UTME screening have been released too. NOTE: All prospective candidates should bear it in mind that the AOCOED Post-UTME cut-off mark is the jamb minimum point. If you applied for POST-UTME Screening , Use your JAMB Registration Number AND your SURNAME to login to the AOCOED Post-UTME Online application Platform at http://applications.aocoed.edu.ng to complete your applications. Application closing date has not been offically announced. Thank You.